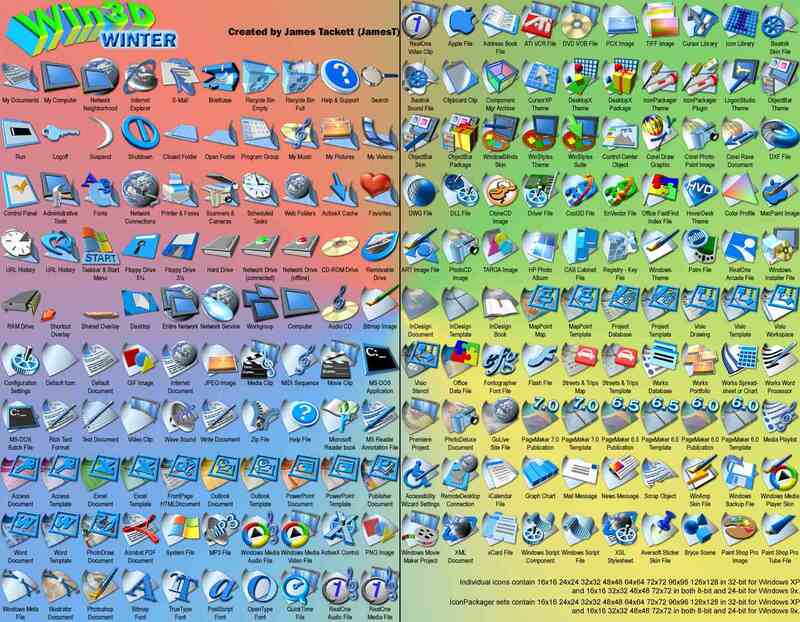 Here's a new set of icons that were completely rendered in 3D software. These 200 icons have taken me a great deal of time to create, but it has been a lot of fun and quite a learning experience. :) I hope everyone enjoys them. I've broken up the individual icons into smaller sets of 33-34 icons each to keep the file sizes down. As with all of my individual icons, these include 128x128 32-bit XP icons for anyone that uses a program like ObjectDock from Stardock. There will be other color variations as I complete the sets.